Peak fall foliage in the Hudson Valley is breathtaking! Fall in New York should be on everyone’s bucket list. 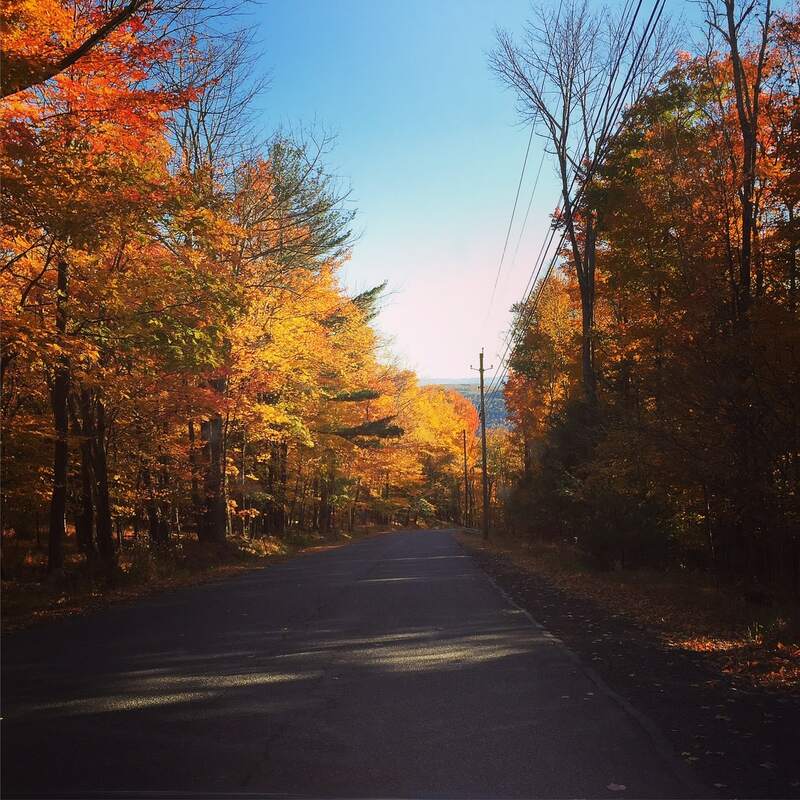 It’s the perfect time to do a road trip in the Adirondacks or the Hudson Valley. The fall foliage is incredible and pictures don’t do it justice. There is about a week where the area is at peak foliage and lucky for me it just happened to be this past weekend when I was headed to Stone Ridge, NY for my friends’ wedding. The setting for the wedding was picture perfect, the bride and groom said their vows on a farm overlooking a valley full of amazing fall foliage. I also planned to spend some time in the area enjoying fall in the Hudson Valley. For more tips on preparing for your road trip, check out my Road Trip Packing List and Preparation Guide. 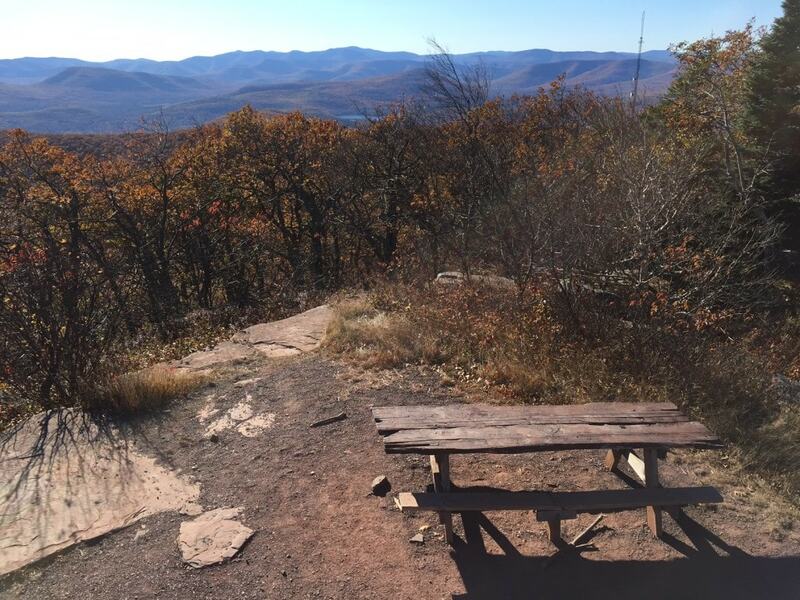 A picnic table on the top of Overlook Mountain. Overlook Mountain is located in the Catskill Mountains about 20 minutes north of the town of Woodstock on County Road 33. It a very scenic and curvy road. Use the address of the Karma Triyana Dharmachakra Temple (335 Meads Mountain Road, Woodstock, NY 12498) for your GPS since it is right across the road from the trailhead. The hike is 5 miles roundtrip and is steep going up, but the view makes it worth it. It is well-marked gravel trail so you don’t have to worry about finding the right rock to step on. We did read about rattlesnake sightings (we did not see any) so you should look down where you are stepping. Close to the top, there are ruins of an old hotel. 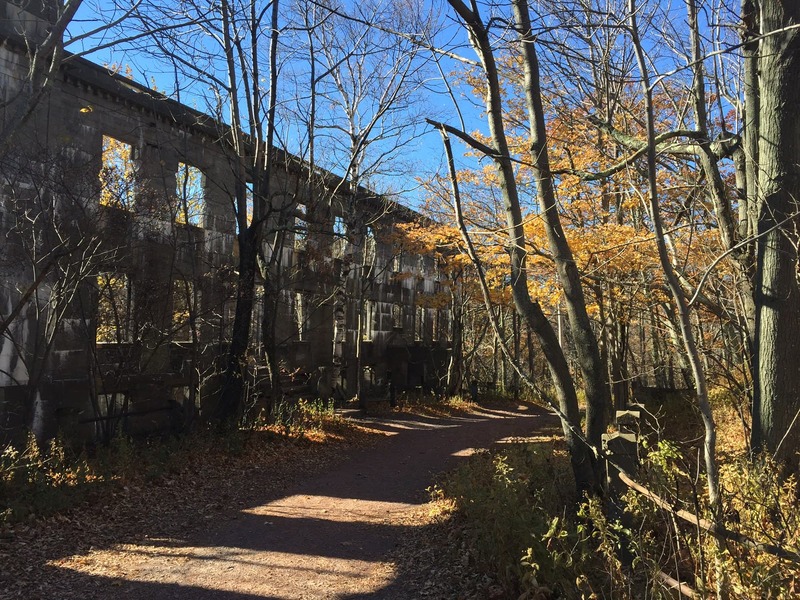 After you explore the ruins, head past the fire tower and stop at the scenic overlook. The view is amazing so plan on spending a little time taking it all in. Then on your way back, climb the fire tower if you are brave enough. I went up three flights of stairs but then the tower was shaking so I decided to come down. Round trip the hike, including stopping for the ruins, scenic view, and fire tower took us about 3 hours. If you are looking for more hiking in the Hudson Valley, you might want to also consider Hunter Mountain or Palisades Interstate Park. You can do those as a day trip from NYC. The old hotel on the way to the top of Overlook Mountain. 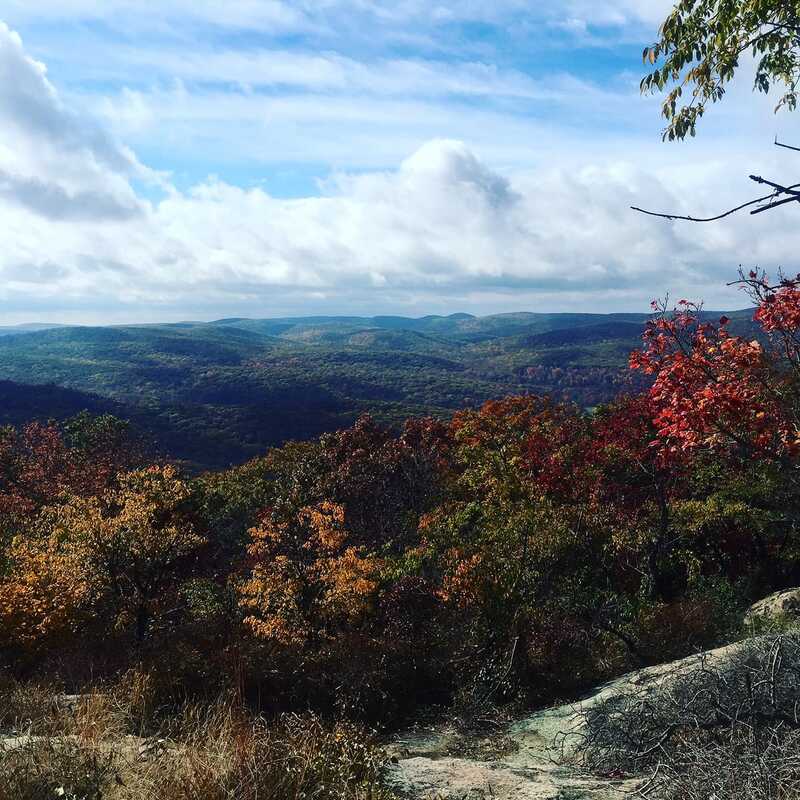 Bear Mountain State Park is beautiful all year round but is at its best during the fall season. It is a great place to see the fall colors and they even have their own Oktoberfest. I went a few years ago and it was a lot of fun. They have plenty of hiking and biking trails and a portion of the Appalachian Trail goes through the park. During the winter, it’s a great place for cross-country skiing. 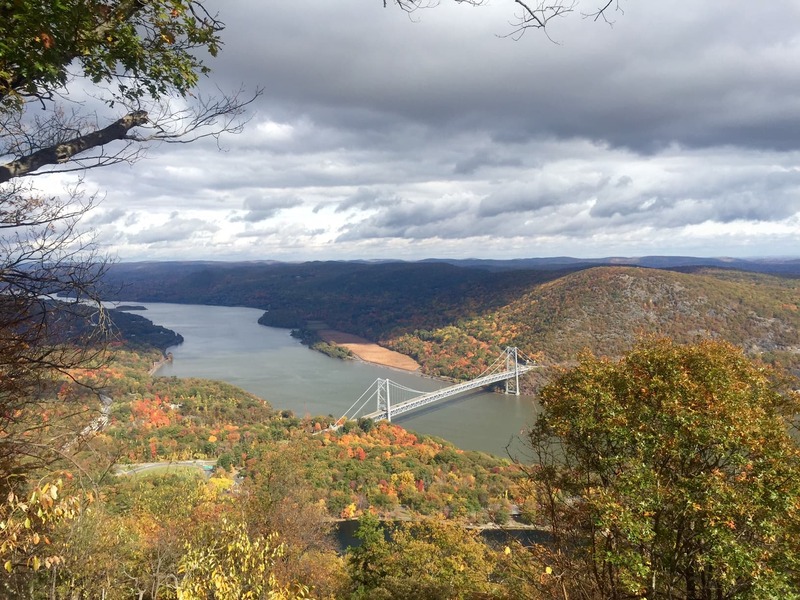 If you don’t have the energy or time to hike, you may want to opt for the scenic drive to the top of Bear Mountain. To get to the top, take Seven Lakes Parkway from 9W. You will turn right on Perkins Memorial Drive and go to the top. Park your car and take in the view of the Hudson Valley. You should also climb the Perkins Memorial Tower for 360 degree views of the Hudson Valley fall foliage. On the way up, you will learn some tidbits about Bear Mountain Park from the tile paintings on the walls. After enjoying the view from the tower, head back down the mountain. There will be a turnoff for a scenic view, and I would recommend taking it. From this drive, you will be able to see the Bear Mountain Bridge. The fall foliage and scenery at the orchard was amazing. 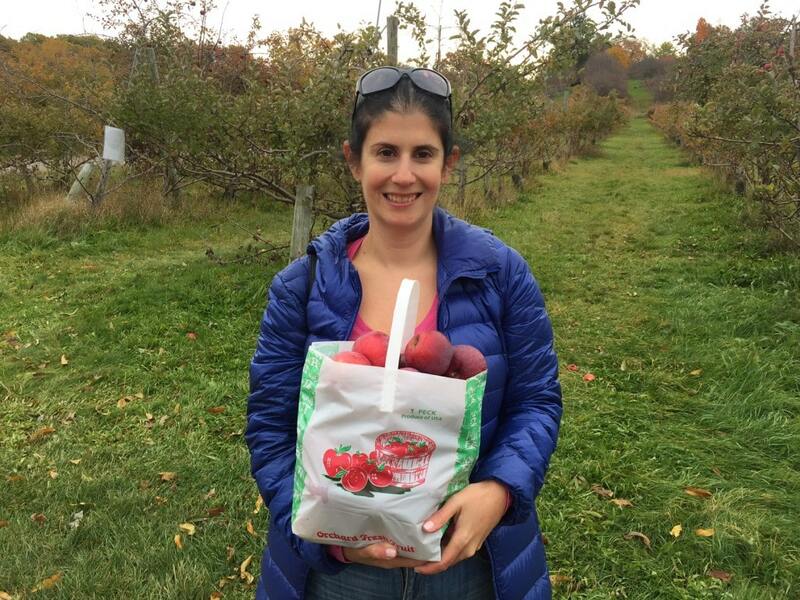 Apple picking is a must in New York during the fall. Apples definitely taste better when you pick them yourself. Plus, you can also have some hot apple cider and apple cider donuts (YUM!). There are a lot of orchards in the area. 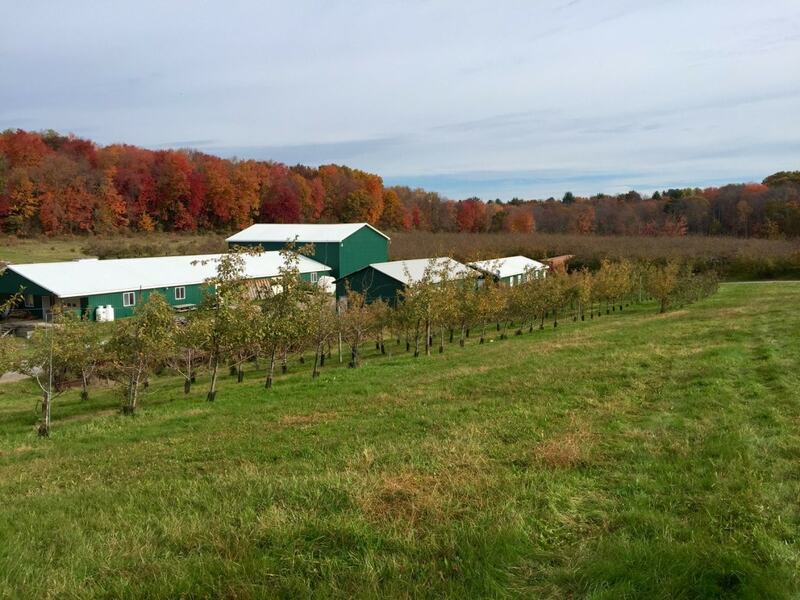 We decided to go to Stone Ridge Orchards because it was the closest to where we were staying. It was beautiful and had plenty of great apples. Perrine’s Bridge is the second oldest covered bridge in New York and is definitely worth a quick visit. 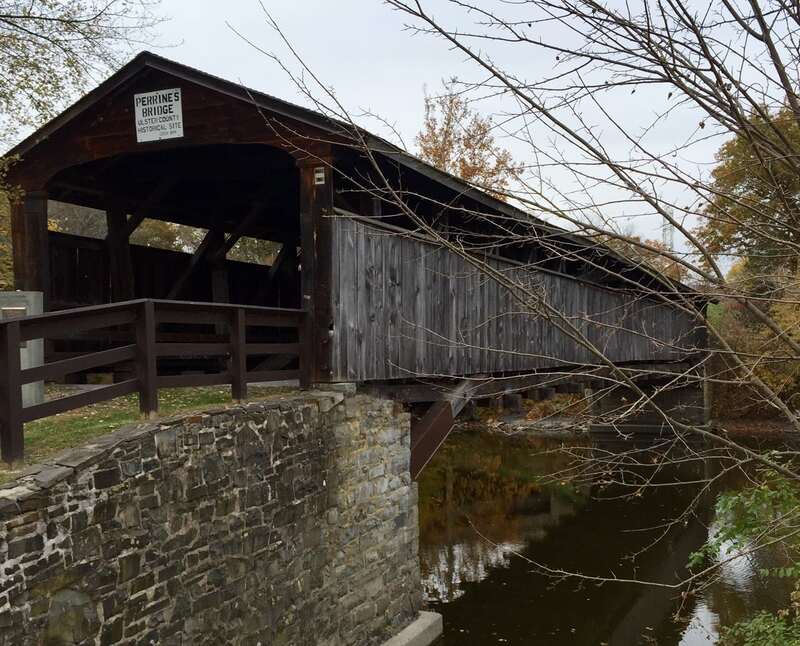 It is located on the Wallkill River right off NY 213 and right next to I-87. It is closed to vehicular traffic, but there is a parking area on NY 213 right across the road. Park there and walk across the bridge and take some pictures. Also on NY 213 is High Falls, both the actual waterfalls and the town. The waterfalls are beautiful and definitely worth the short walk from the parking lot. There is a power plant there, so you will need to walk down and around the fenced in area to get a good shot of the falls. There are also some ruins of the water mill there. The town of High Falls (which is named after the High Falls) is adorable, so if you have time, this would also be a great area to walk around. We saw a lot of cute looking restaurants and we were only able to try a few. Since I like Tex-Mex food, my favorite restaurant was Los Jalapenos in New Paltz. It is a brand new Mexican Restaurant. The food was excellent and they even gave us dessert on the house. We also enjoyed Savona’s Trattoria in Kingston, which was excellent Italian food. To get in the Halloween spirit, you can walk through an elaborate display with more than 7,000 individually hand-carved, illuminated jack-o-lanterns. Get tickets in advance for the Great Jack-O-Lantern Blaze as many nights sell out. You might also be interested to learn more about the real meaning of Halloween. Walkway Over the Hudson State Historic Park is a pedestrian-only bridge over the Hudson River. At 212 feet tall and 1.28 miles long, it is the longest, elevated pedestrian bridge in the world and the views look amazing. It is open year-round, weather conditions permitting (closed in the event of lightning or ice), but I think fall would be the most scenic. Have you been to the Hudson Valley in the fall? What were your favorite things to see? We would love to hear about your experiences. There is so much to do in the Hudson Valley in the fall, plan in advance so you can maximize your time there. The area is so scenic, I definitely recommend taking a drive. 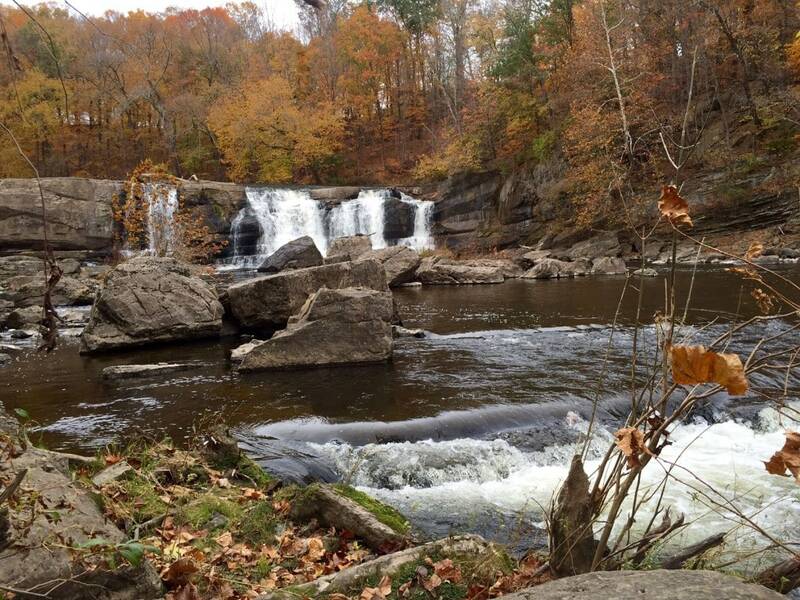 If you go on NY 213, you will see High Falls and Perrine’s Bridge in addition to the beautiful fall foliage. There are plenty of places to go hiking. 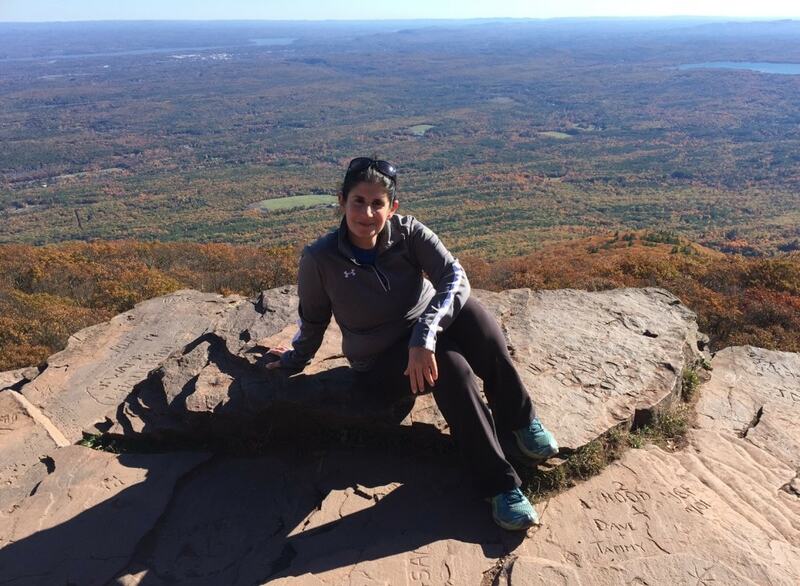 We hiked Overlook Mountain and enjoyed it. It was challenging but the view and the ruins you see along the way, make it well worth it. Beautiful scenery! What a gorgeous place to visit! Thanks Julie! It really was beautiful, like I said the pictures don’t even do it justice. I hope to go back again next year! wow oh so scenic! The food also looks delish, nachos are my fav. Thanks Liz. I love nachos too! Thanks so much! I really love the fall colors too! Loved all these photos! 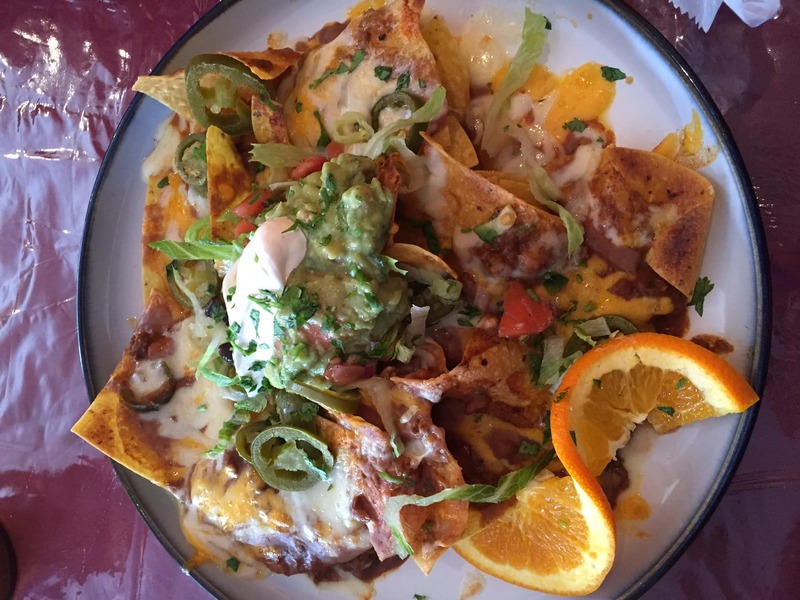 We LOVE nachos and so now I’m hungry! And we don’t get a real fall in Southern California but we love it! So get to experience it through pictures like these and when we travel. Thanks Lena. You guys should think about doing a fall leaf peeping trip one year! Nicki – Yes the colors are beautiful, plenty to come on my instagram. WOW the High Falls looks beautiful!! I am based in NYC and am loving the changing of the leaves … But I definitely need to get out into nature like this to fully appreciate it! Wonderful post. Thanks Christina, yes you should try to visit the Hudson Valley, especially this time of year. The colors during the fall are so pretty! What a beautiful spot! We’re explored NYC but not managed to spend much time in other parts of the state and it looks like we’re missing out. The apple cider donuts sound amazing too!! Thanks Sarah. I know there is tons to see in NYC so definitely understandable that you didn’t manage to see the rest of the state. You will just have to come back! Yes, fall is a beautiful time in NY! It’s definitely worth spending a day or more in the Hudson Valley or if you don’t want to leave the city, Central Park is lovely.